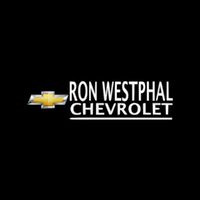 Ron Westphal is a locally owned and operated Chevy dealership. As a certified Chevy dealer we are able to offer our customers the most complete lineup of Chevy vehicles. We have a number of new Chevrolet vehicles for customers to view in the Aurora, IL area. Whether looking for a car, SUV, truck, or commercial vehicle, the team at Ron Westphal Chevrolet is ready to help you narrow it down to the new cars which will best meet your needs. New Chevrolet vehicles in our inventory include a number of new 2017 cars, SUVs, and trucks. Since these vehicles are entirely new, they are covered by new car warranties, but are usually less in cost then their 2018 counterpart. Those customers looking for the latest model of Chevy cars, trucks and SUVs can also come see our full inventory of 2018 vehicles. Many of our new 2017 and 2018 vehicles can also be viewed online before even stepping foot in the dealership. If you are not sure which new cars are best for your needs, our sales team is more than happy to listen to you and identify the right new cars that meet your needs and preferences! They will then be able to show you the right new Chevrolet vehicles for you, and even recommend a test drive to make sure you are getting what you expect out of your new Chevrolet vehicle. We will then work closely with our finance team to make sure you are able to secure the financing necessary to allow you to drive off of the lot in your Chevrolet. Simply stop by our dealership in the Aurora, IL area and speak with our sales team today.